Saturday, 8/18/2012 in Washington D.C. at Eighteenth Street Lounge. 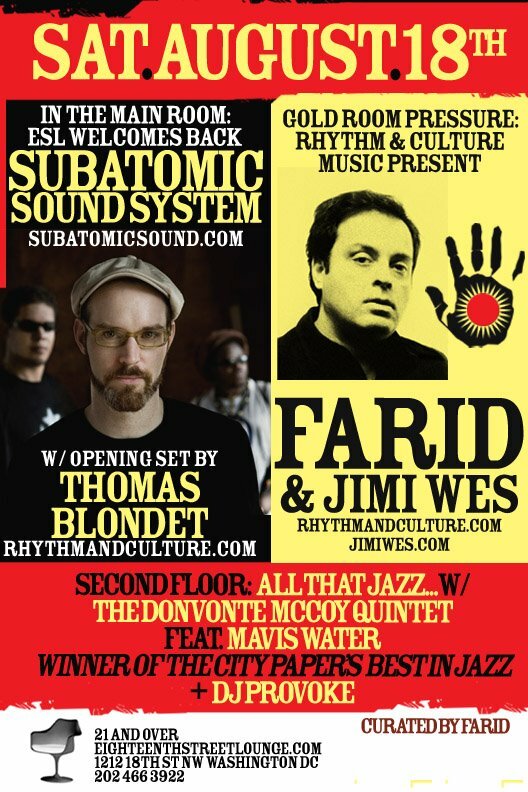 1212 18th ST. NW, Washington D.C.
DJ set by Emch of Subatomic Sound System as well as Thomas Blondet in the main room. Farid & Jimi Wes in the Gold Room. More action on the second floor, Al That Jazz with The Donvonte McCoy Quintet & J Provoke.